Itchy, scratchy men's shirts are now a thing of the past. This Ariat Men's 10012250 Bold Blue Stripe Flame-Resistant Long-Sleeve Shirt is made out of durable, soft twill that's comfortable against your skin. And even better yet, this rugged material is also flame-r ... (see full details) (see specifications) #45579. Itchy, scratchy men's shirts are now a thing of the past. This Ariat Men's 10012250 Bold Blue Stripe Flame-Resistant Long-Sleeve Shirt is made out of durable, soft twill that's comfortable against your skin. And even better yet, this rugged material is also flame-resistant. The Ariat shirt is built to last, with a lightweight 6.5 ounces of FR twill. It'll defend you in extreme environments, especially those that involve high heat. The blue shirt meets both the NFPA 2112 and NFPA 70E standards for fire protection, and these ensure you'll be guarded around potential flash fires and electrical arc flashes. Since the flame-resistant shirt brings the whole package, it also has an HRC 2 rating (Hazard Risk Category) and an Arc Thermal Performance Value of 9.5. The higher the ATPV, the greater amount of coverage you'll have. You'll also get excellent performance from this blue shirt. It stands up to hazardous conditions, and it also has Greater Arm Mobility (GAM) technology to keep the cuffs down and prevent the shirt tail from untucking. The extended inseam construction allows you to have your full range of motion as well. The men's shirt has a button-down front, and there's a left front chest pocket for you to use. The cuffs are adjustable, so you'll be able to find just the right fit for you. This Ariat workwear is versatile and ready to stand up to the challenges your work days throw at it. The Ariat Men's 10012250 Blue Flame-Resistant Stripe Long-Sleeve FR Shirt is built to keep you safe, and you'll also be comfortable when you're wearing it. Forget the old, itchy men's workwear you have - order one of these from Working Person's Store today! The shirt was truly a tall. I have gotten shirts before from other makers that say tall but sleeves were too short. Or the tails are too short to tuck in. This shirt was just right i will definitely order more. Ordered this to wear during sales calls and meetings. It's dressy enough to wear in a conference room or meeting, and meets the FR requirements when looking at areas that require it. Good quality. The fit was a bit larger than other XL shirts I've ordered, so they may run a bit large. Would recommend this to others. This shirt fits good, laundered great, and looks sharp. Paired with his new Arita jeans my husband looked like he was going on a date instead of returning from work at a chemical plant. Our grown daughter was visiting when he got home and asked him why he didn't go to work that day. He looks looks so good I will be shopping for more terrific shirts. He has always worn the fr shirts provided free from work. Boy is this an improvement!!! 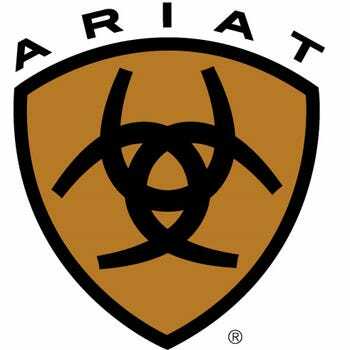 I am such an Ariat fan boy that I actually wear their boots, flame resistant jeans and flame resistant tops on a daily basis. The quality of their apparel is second to none and this reflects in their products and customer service. Great button up shirts that looks good with any pair of jeans or slacks. Ariat Shirts: Men's 10012250 Blue Flame-Resistant Stripe Work Shirt is being added to your cart.